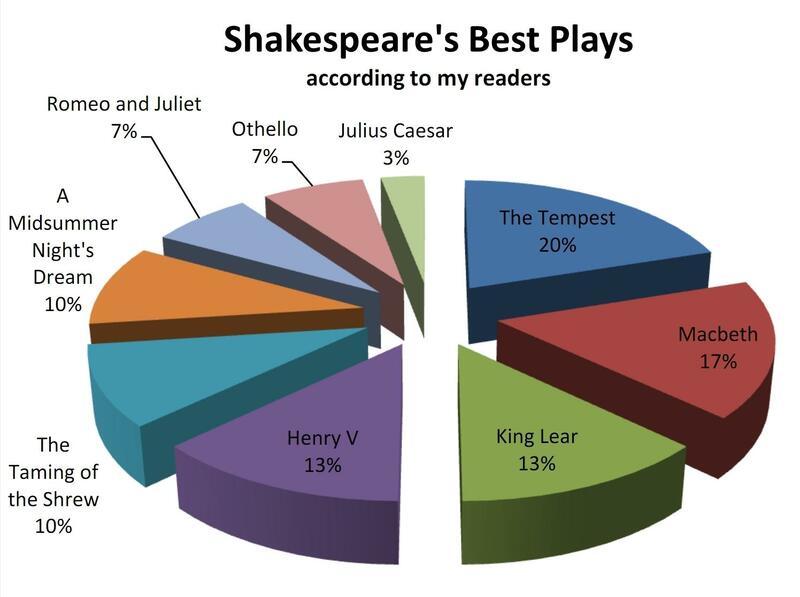 Yesterday, I posted a poll asking what you think is Shakespeare’s greatest play.Today, I present the results! I was rather amazed. No Hamlet! The Tempest beat out the Scottish play. If you would like to weigh in, I am keeping the poll open. You may find it through this link. I just voted for King John – not to be controversial but because I think it’s criminally underrated. I recommend tracking down the BBC version with Leonard Rossiter and John Thaw – superb production, and likely the only production you’ll see as it is rarely performed on stage these days. Great point! I believe it is underrated. I did not know about the version with Leonard Rossiter and John Thaw. I will have to find that. Thanks for voting and thanks for the tip.